As a real estate broker with 25+ years of experience and consistently a top-producing agent, Bonny is an expert in the marketing and sale of properties, ranging from condominium to multi-million dollar homes to new development projects. She is a vice president with Compass, the premier real estate office in Cambridge located in Harvard Square (and previously Vice President at Hammond Real Estate). Her can-do style and hi- tech/hi-touch approach have earned her rave reviews from her clients. Bonny’s background in art and design provides an added benefit to Sellers and Buyers by envisioning a more pleasing environment to help facilitate the sale of a property or by suggesting ways a Buyer could redesign a house under consideration. When preparing a house for its market debut, Bonny is able to accomplish impressive transformations in a very short time, with as little ado as possible, resulting in the best financial return for Sellers. Because of Bonny’s service-oriented style, 90% of her business comes from previous Buyers and Sellers and the referrals they so generously send to her. Her success is based on 3 goals: to be as professional, ethical and efficient as possible; to have silky smooth transactions; and to exceed her client’s expectations. 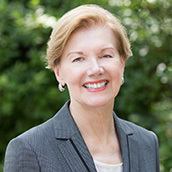 As a long-time resident of Cambridge, Bonny is very active in the community, serving or having served on a number of committees and boards of nonprofit organizations. Because of her background in art and art history, she is involved in the local arts scene and was a member of the Leadership Committee to fund the Maud Morgan Visual Arts Center; a member of the Gala Committee of the Boston Landmarks Orchestra; is a member of the annual Gala Committee of the Longy School of Music of Bard College; was a recent member of the Charles River Conservancy Gala Committee. Bonny is active in the Cambridge Chamber of Commerce; is a member of the Harvard Square Business Association; sponsors the Cambridge Public Library’s bi-annual Secret Garden tour and Paddy’s Cambridge Classic 5K; supports Arts for Humanity, the Cambridge Jazz Festival, Next Step.